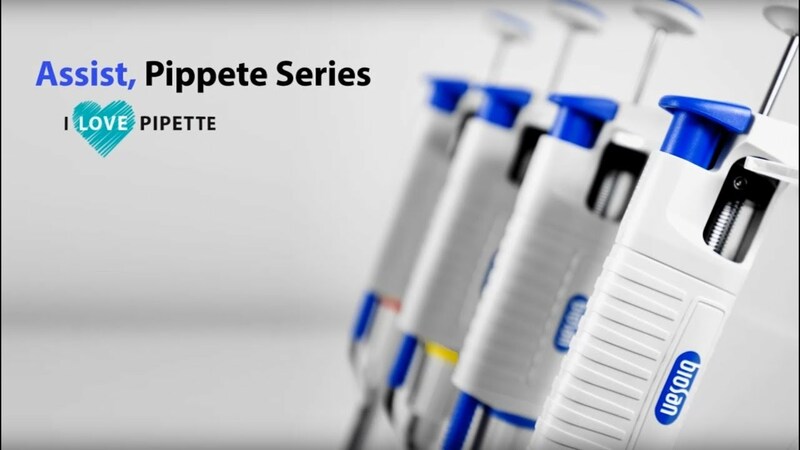 The Assist series pipettes are single or 8, 12 channel variable volume pipettes designed to measure and transfer volumes from 0.1 μl to 10000 μl depending on the model. Multichannel pipettes are produced in four ranges of volumes: 0.5-10 μl, 5-50 μl, 20-200 μl, 50-300 μl. The pipettes are equipped with a analog counter which shows the pipetting volume. The volume setting is done by turning the pipetting pushbutton knob or the black adjustment knob in the right direction. The volume range is shown on the pipetting pushbutton. Measurement and transfer of microvolumes, DNA sequencing and enzyme assay applications. Measurement and transfer of general aqueous solution, acids and bases. Measurement and transfer of large volumes.